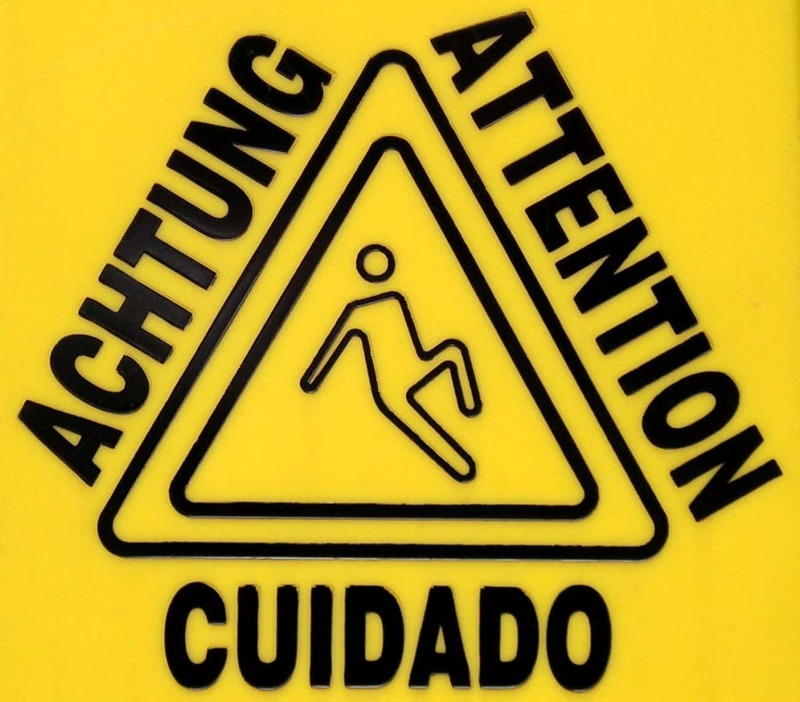 Slip-and-fall accidents can place a serious financial burden on a company. When a worker falls and suffers an injury while on the job, the company is responsible for paying his or her medical bills along with lost wages through Workers’ Compensation. This alone can cost businesses a good chunk of cash, but this is really just the tip of the iceberg when it comes to the true cost of slip-and-fall accidents in the workplace. This week, we’re going to take a closer look at this problem and revealing some of the many ways accidents such as this impact a businesses’s finances. To put the problem of slip-and-fall accidents into perspective, a 2007 published by the insurance company Liberty Mutual found that same-level falls (not elevated) were the second most common type of injury in the workplace, costing businesses an estimated $6.6 billion. This is a shocking statistic that should serve as a real eye-opener to companies dealing with slip-and-fall accidents. The National Safety Council (NSC) also performed a study which suggests the annual costs of medical bills and Workers’ Compensation associated with slip-and-fall accidents in the workplace is roughly $70 billion annually. Lowers overall morale in the workplace. Leaves the company vulnerable to OSHA fines, lawsuits and other legal action. Raises the cost of Workers’ Compensation. Company must invest additional time, money and resources into finding a replacement for the injured worker. Equipment is oftentimes broken or damaged as a result of slip-and-fall accidents. Forces company to perform renovations or modifications in an effort to reduce such accidents. 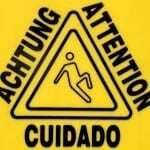 The first step towards preventing slip-and-fall accidents is to identify “high risk” areas within the workplace. This may include areas around forklifts where oil frequently leaks, building entrances, stairs, damaged floors, etc. With these areas properly identified, business owners can then work to fix the underlying problem. The area where forklifts are stored, for instance, could likely benefit from the use of absorbent mats. If any oil happens to leak from one of the forklifts, the absorbent mat will soak it up rather than allowing it to spill on the floor. You could also use these mats around entrances where rainwater frequently develops. What precautions do you take to prevent slip-and-fall accidents in the workplace? Is Your Workplace At Risk For Slip-And-Fall Accidents? [sc:date] Slip-and-fall accidents are one of the most common types of employee accidents in the workplace. According to the National Floor Safety Institute, slip and falls account for over 1 million hospital emergency room visits each year, making them the leading cause of visits. It’s important for companies to take preventive measures to reduce the chance of slip-and-fall accidents. Rather than waiting until an accident occurs, make it a point to address the situation now. As you can see, there are numerous reasons why companies should focus on reducing the chance of slip-and-fall accidents in the workplace. The most obvious reason is to protect the health and well-being of employees, but there are other ‘lesser-known’ reasons highlighted above. 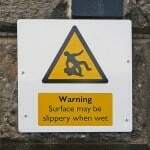 Slip-and-fall accidents generally fall into one of two different categories: ground level falls or elevated falls. Ground level falls are less severe but more common, occurring when a worker slips and falls on level terrain. Elevated falls are less common but more severe, occurring when a worker falls from an elevated position. Just a couple feet of elevation amplifies the danger and severity of a fall significantly, so keep this mind when performing safety inspections of your workplace. The first step in reducing the risk of slip-and-fall accidents is to perform a risk analysis of your workplace. Even if you know your workplace like the back of your hand, you still need to identify and prioritize areas of risk. Make sure there’s plenty of lighting to illuminate the area, making slippery areas easier to spot. Go through and inspect the floors while looking for signs of spilled oil, battery acid, gasoline or other chemicals. Once these areas are identified, prioritize them from least to greatest risk. The next step is to take action towards fixing these areas of risk. If oil is constantly being spilled in the area where your forklifts are parked, then perhaps you could lay out some absorbent mats to help control the spill. You can also hang up signs to let employees know about the danger of slip-and-fall accidents. There are just a few of the many ways companies can reduce the chance of fall accidents in the workplace.